After numerous beta updates and delays, Android Oreo has finally landed on the Essential Phone. Originally intended to launch with the vanilla version of Oreo, Essential opted instead for the latest version due to some stability concerns. If you check for a software update, you should have immediate access to the overdue upgrade, which will require a restart once the download is complete. 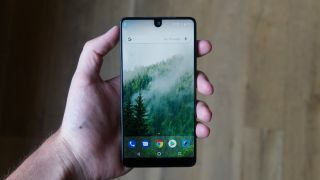 This Android Oreo update will certainly make the Essential Phone better than before, though it’s now slightly overshadowed by the Android P developer preview that just tested on the Google Pixel 2 and Pixel 2 XL. Once Android P's notch-friendly update launches in full, it could mean even better support for the PH-1, or its successor, if one ever comes to market.